Product information "HAIX Fire Hero Vario"
The Fire Hero Vario by HAIX is a slip-on boot manufactured in black leather which offers outstanding protection to fire fighters out on deployment. A CROSSTECH® membrane in the inner lining ensures that viruses and bacteria potentially contained within body fluids such as blood are unable to penetrate. This minimises the risk of infection to which you are exposed during the course of your work. The sole of the Fire Hero Vario offers an extremely high degree of slip resistance. The design of its tread and the rubber compound used in the manufacturing process take their inspiration from the tyre industry. This guarantees you a firm foothold in wet, icy or snowy conditions. The sole is also puncture resistant. Any nails or other sharp objects encountered at the scene of an incident will be unable to penetrate the boot. The Fire Hero Vario complies with the fire brigade boot standard EN 15090:2012, Type F2A, HI3. 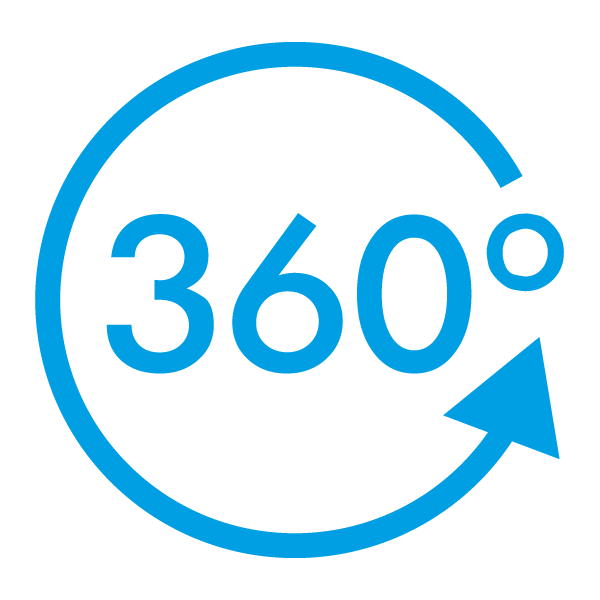 This means that is particularly heat resistant and can withstand a temperature of 250 degrees for a period of 40 minutes without suffering any damage. This is the highest value that can be accorded to a fire brigade boot. Special pigments integrated into the leather prevent any overheating in the sun. Protectors at the side of the boot ward off any impacts or blows in the ankle area. A toe cap manufactured in a plastic glass fibre composite prevents any falling objects from harming your feet. This is substantially lighter than a conventional steel toe cap, but just as effective. Luminous reflective strips at the side of the boot make sure that you remain easily visible in dim light. Quick reactions are needed once the alarm at the fire station has sounded. The HAIX Fire Hero Vario saves valuable seconds. No zips need to be operated, and no laces need to be tied. Large loops at the sides also assist with the process of putting on the boot. You will be ready for action in no time at all. It is also important that your feet are able to gain sufficient support. To this end, stretchable insets are contained within the inner lining to ensure a snug fit. The HAIX Fire Hero Vario is manufactured in high quality waterproof bull leather, which is protected by a rugged rubber toe cap. The leather used in the manufacturing process has been hydrophobised and thus rendered completely watertight. An additional rubber toe cap at the front of the boot helps protect the area most subject to wear and tear and ensures a particularly long product life. Your feet will not sweat unnecessary in warm weather, thanks to special pigments integrated into the leather, which reflect the sun's rays. Yellow reflective strips at the side of the boot make sure that you remain easily visible in dim light. A four-ply CROSSTECH® membrane integrated into the interior of the Fire Hero Vario ensures that no water, blood or other bodily fluids can enter the boot. This offers enhanced protection against viruses and bacteria. At the same time, the material is highly breathable and enables sweat to evaporate away. An abrasion-resistant lining provides insulation against the heat and cold. This makes the Fire Hero Vario extremely comfortable to wear, both indoors and outside. An anatomically shaped moisture-absorbent inlay sole prevents any malposition of the feet and can be removed and washed if required. The footbed reduces strain on the back and joints by cushioning your steps as you go. A plastic toe cap integrated into the front of the boot prevents any injuries that may potentially be caused by falling objects. Padding in the ankle area shields against any impacts or blows. Three different insoles are available for the footbed to enable you to adjust the width of the boot to suit your own individual needs. These inlays are interchangeable and may also be washed if required. The Fire Hero Vario is shipped with the red inlay (medium) as standard. Additional Vario Fit inlay soles can be ordered. 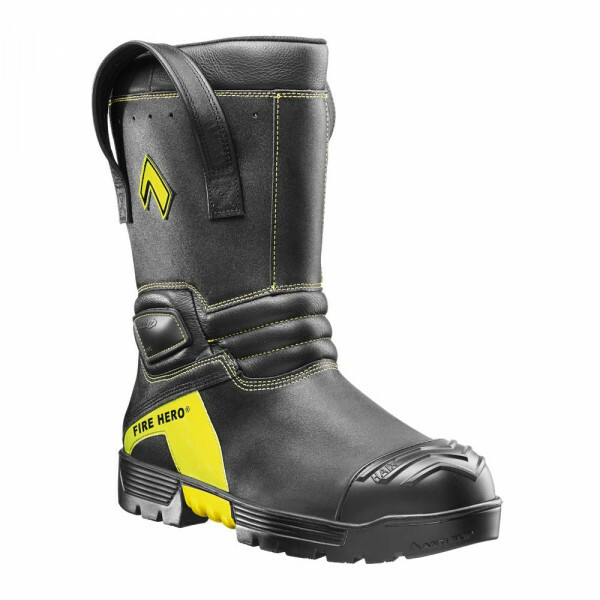 The rubber sole of the Fire Hero Vario is slip resistant on wet, snowy and icy surfaces. It also offers enhanced puncture protection - your feet will remain uninjured should you step on any sharp items such as nails in the course of your duties. The sole is also colourfast and will not leave any ugly black marks on tiles or light-coloured industrial floors. Liquids such as blood, oil or petrol cannot penetrate the boot. The highest degree of protection is absolutely vital for all those involved in dangerous fire fighting missions. The HAIX Fire Hero Vario will provide you with all the support you need. The very latest shoe technology also makes this a product which is extremely pleasant to wear. Even though the Fire Hero Vario includes a shock absorption system, protectors, reflective strips and a toe cap it still weighs astonishingly little. Try out these comfortable safety boots now!